Our girls love having weekly tea parties. Every week, without fail, they bring out their tea sets, snacks and favorite tea. Sometimes it’s just a cute girlie movie, other times it’s poetry read aloud time or an audio book while we snack and sip. Lately though, they have been really wanting to host tea parties for their little friends! What a fantastic opportunity to have fun while learning to serve others. Not only that, but with innovations and goodies it is a great way to teach things like manners, penmanship, menu planning, and basic cooking skills! Print out the pages and have fun! Your kids can mail off invitations for their friends and then get to work planning.The decorations and food planning pages come with great suggestions to get you started, and each one also has a supplies list. Let them decide on a simple menu and display it at the party or provide it to guests to order from. The food labels make it extra fancy! Finally, let your children write and draw on the Memories pages. Guests can sign their name or your child can simply draw or describe their experience with the party. Along with some photos, it can become a great keepsake! 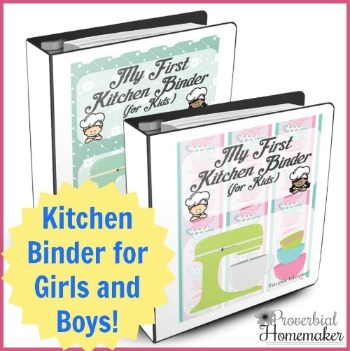 NEW My First Recipe Binder for Kids! On Sale NOW! 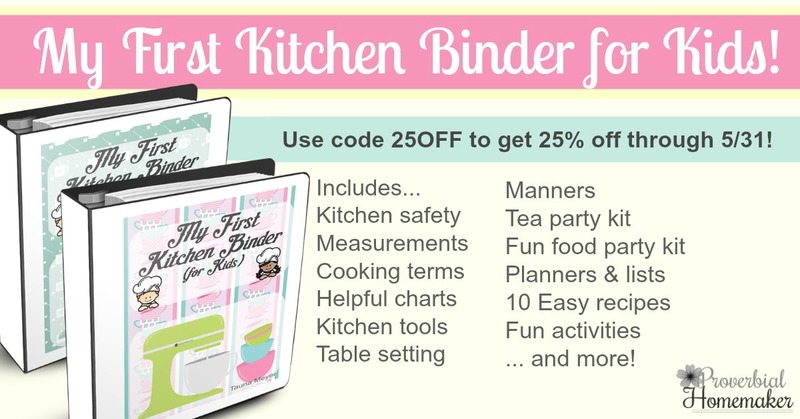 If you think your kids will like this, they will LOVE the new My First Recipe Binder for Kids! 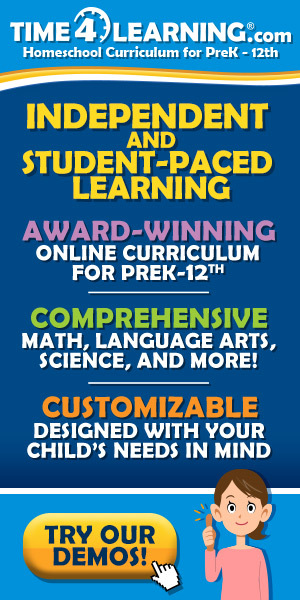 It comes in green and pink versions, and includes the Tea Party pack as well as 133 pages of learning fun! CLICK HERE to find out more. 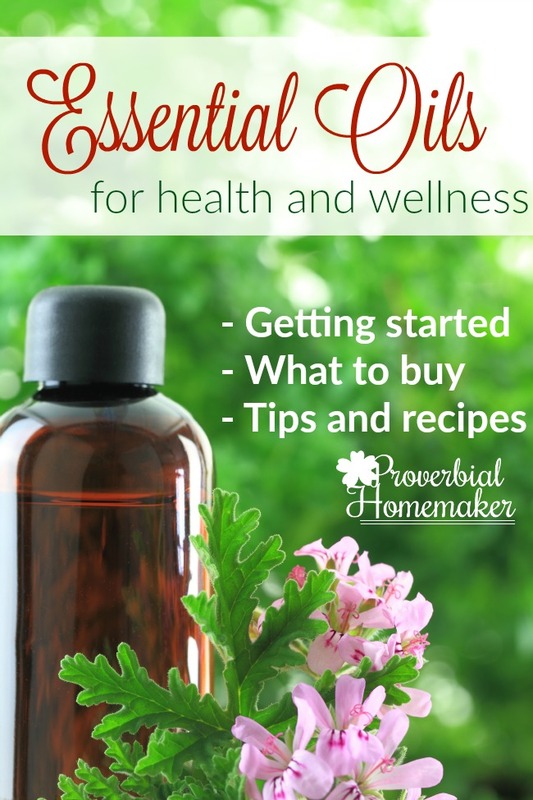 *Your download link will be emailed to you and you will be subscribed to Proverbial Homemaker if you aren’t already. Be sure to check your spam/promotions folder. If you have any issues, check out this troubleshooting guide or feel free to email me! Good Morning what a great idea!!! Last summer I promised my granddaughter that I would take her to a tea restaurant for her birthday in February, since that hasn’t happened I was thinking about doing it while she was at Mema Camp this summer. I can do this instead! !